Being passionate about what you do in life certainly opens doors and leads you to unexpected places. As I commenced my training for reflexology and holistic studies I never dreamed I would be shooting a TV feature with film crew from Irish TV putting reflexology centre stage as a highly beneficial therapy growing in popularity, especially in the last thirty years in Ireland. I say yes to opportunity and if you’ve been following my early posts you may notice that taking action and building confidence are things I have had to develop within myself. You can only truly help others when you have first learned for yourself. And I am seriously keen to encourage others on their quest to put their self-healing to the fore and create more fulfilling lives for themselves. So without further ado, I would like to thank once again the crew and all at Irish TV for inviting me to take part in this feature of Carlow County Matters in order to share the benefits of Reflexology with the wider world. The last seven minutes of this episode of Carlow County matters showcases Caroline Cunningham and Authentic Reflexology. Click To View. ABOUT Caroline Cunningham (Owner of Authentic Reflexology): Caroline Cunningham is a professional reflexology therapist, trained to the highest standards as a registered member of Irish Reflexologists’ Institute Ltd. (M.I.R.I.L.). Caroline is also a qualified Reiki Therapist (Master Level), Graduate of Science, Education and Toxicology. 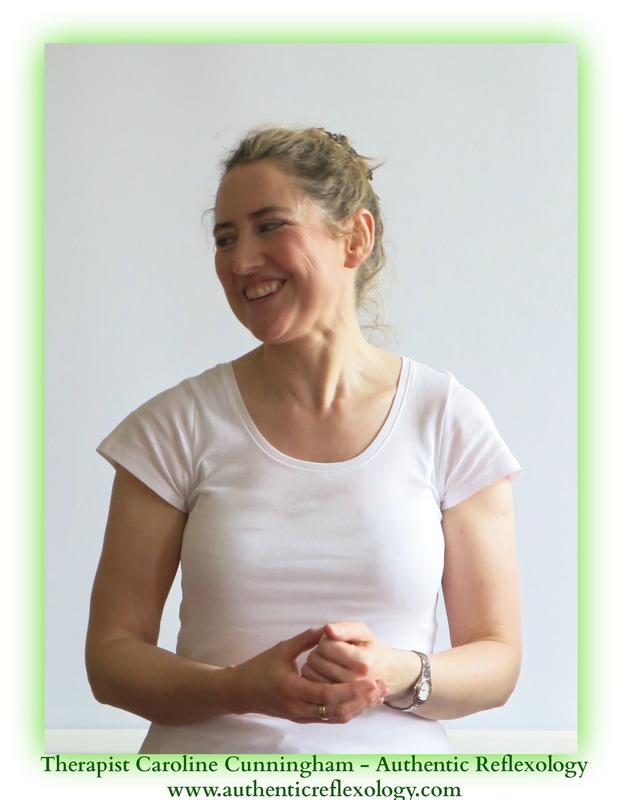 Caroline provides therapy in Carlow and Dublin 2, regularly exhibits at Mind Body Spirit & Yoga festival (RDS Dublin) and has developed and presented reflexology self-treatment workshops suitable for community or corporate groups. Health Insurers provide cover (under certain policies) for reflexology treatments, be sure to check your entitlement with your provider. Member Of Irish Reflexologists Institute Ltd.